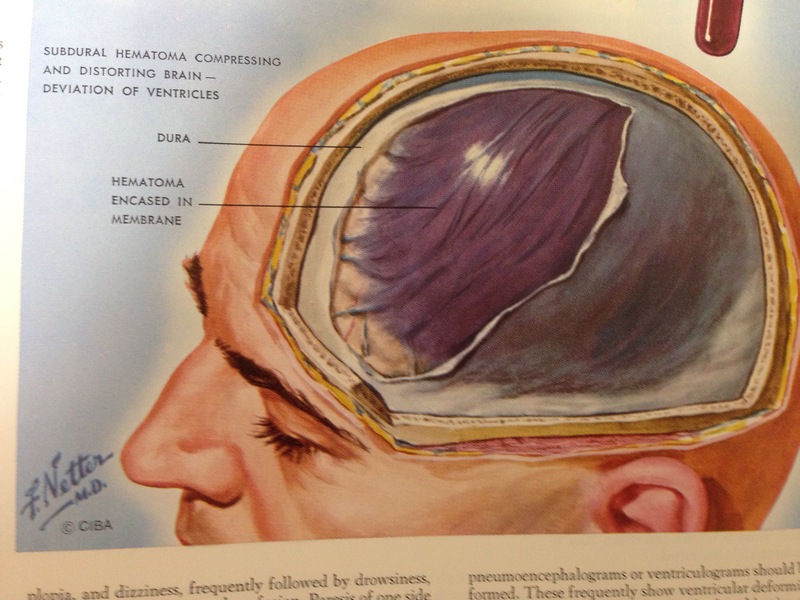 My husband has nine volumes of Frank Netter’s medical illustrations. I started today looking at the Nervous System; how this guy did these drawings is beyond my comprehension. Anyhow this was one of the simpler illustrations. Frank H. Netter, M.D., born 1906 and died 1991 is probably the foremost medical illustrator of all time. After posting my simple eyeball I remembered a portfolio my husband gave me of Netter’s “The Five Senses”. Thought I’d post his eye so you could see what it really looks like and because it is beautiful. My husband had a follow up for his eye problem which is resolving well. They probably think I’m a little nutty because I take pictures of stuff like the eye scan I posted a while back. 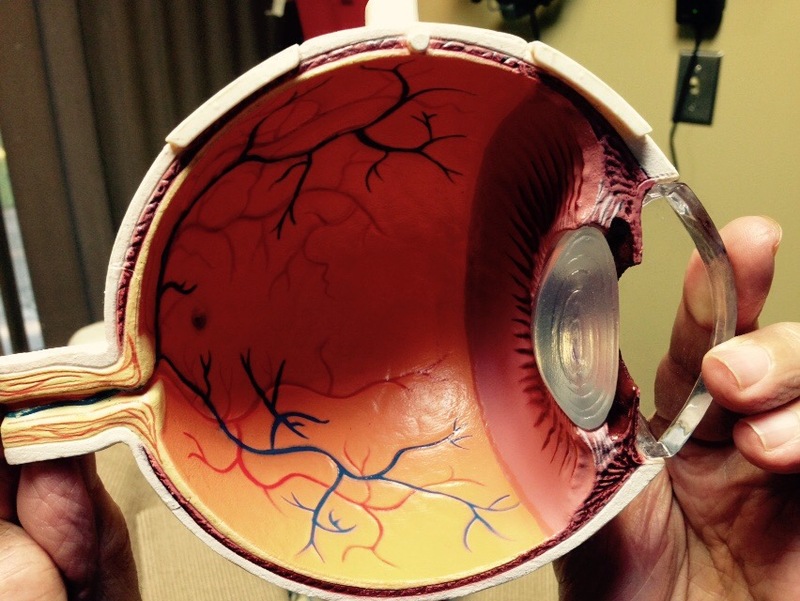 This time an old model of an eyeball caught my eye (hehe). 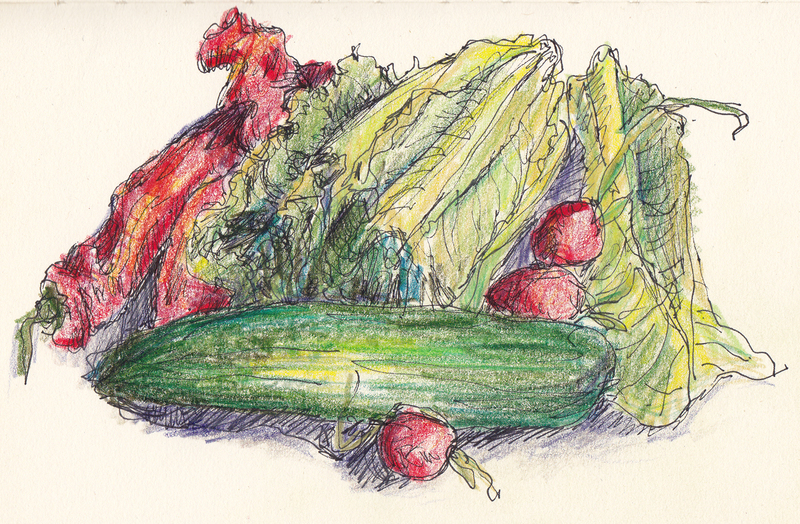 My husband held it up so I could photograph it and today attempted a drawing. Here is the photo. I didn’t really catch the hollowness of it. 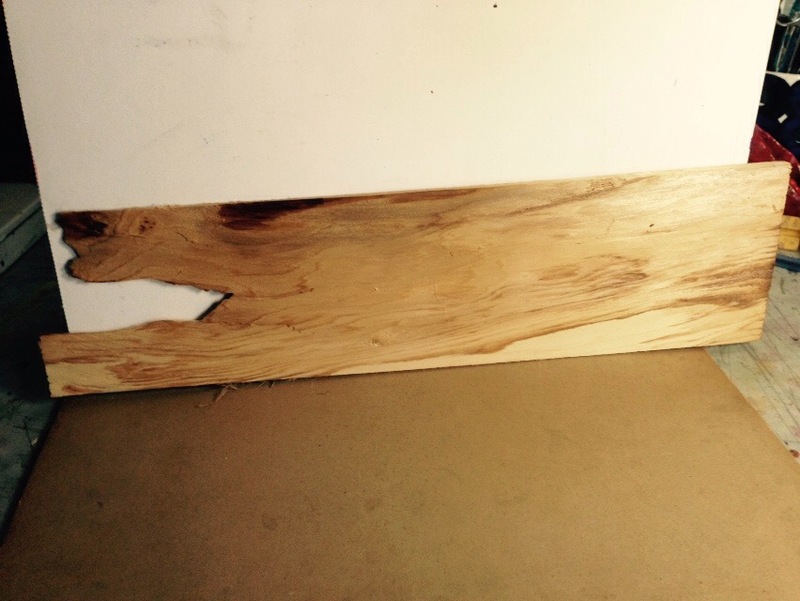 Saw a shingle on the street and it just had that crocodile look. Here he was in his found state. When I finished my 100 days of grids, I had a lot of ideas of what to do for the next “100” project. 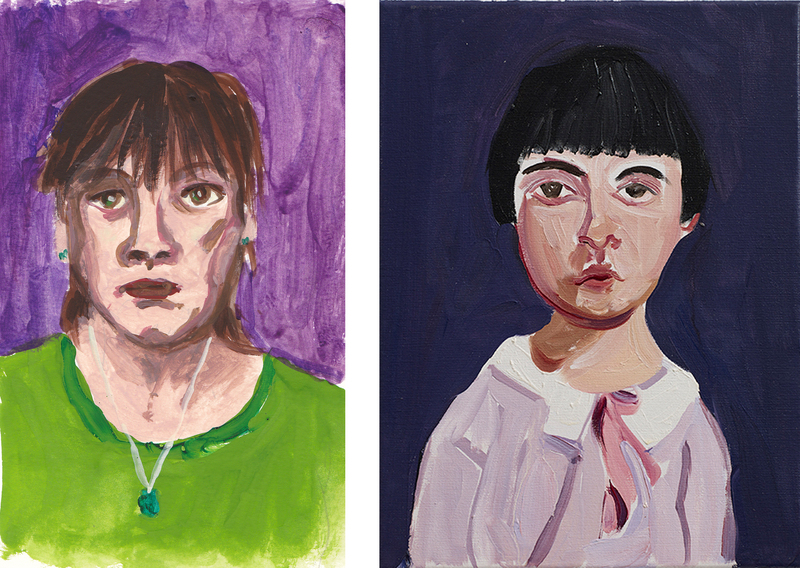 Seeing Chantal Joffe’s portraits at The Jewish Museum a few weeks ago inspired me to go with the “100 days of self portraits inspired by other artist’s portraits” idea. Well I’m not going to do 100 days in a row this time, maybe once a week. 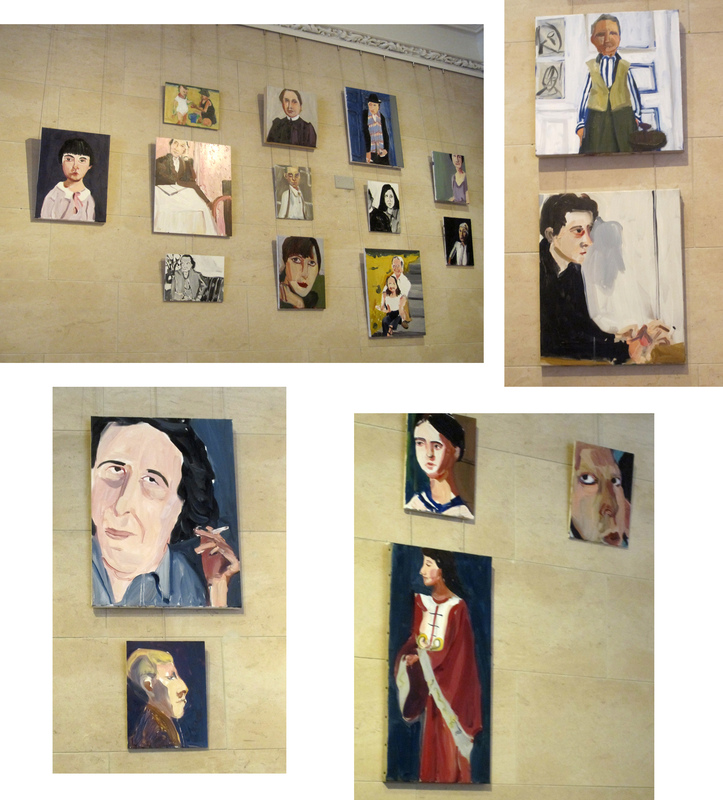 Joffe’s portrait on the right is of Betty Friedan. And that’s me, inspired by her painting, on the left. I can’t really paint in front of my bathroom mirror, so I did a sketch in pencil, and then painted it on my drawing table. 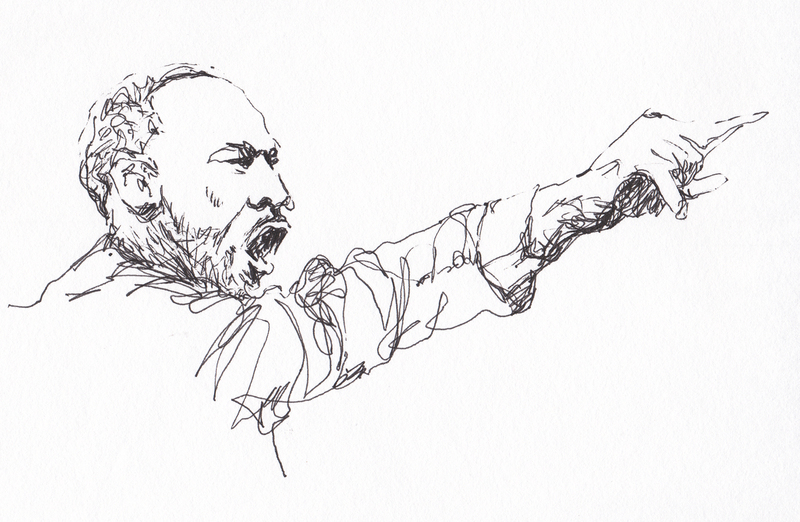 I want to keep the “me-ness” of each but explore different approaches to portraiture. I’m not finished with Ms. Joffe. 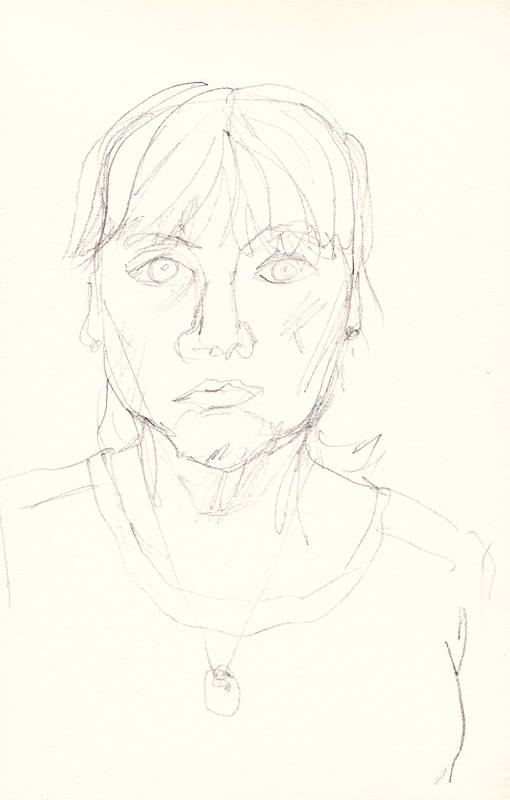 She’s done many self portraits too, and I’m going to do some more based on those. 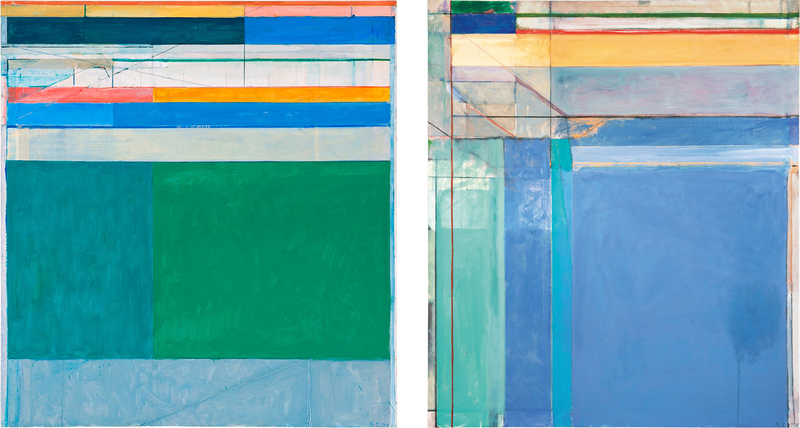 Kerfe’s post today reminded me that Richard Diebenkorn is one of my favorite artists. His food paintings were done in the 50’s and 60’s and the gorgeous Ocean Park paintings, which Kerfe posted, were done later. He did a lot of these and they were all beautiful. I attempted a copy of three cupcakes on my iPad Art Set app. 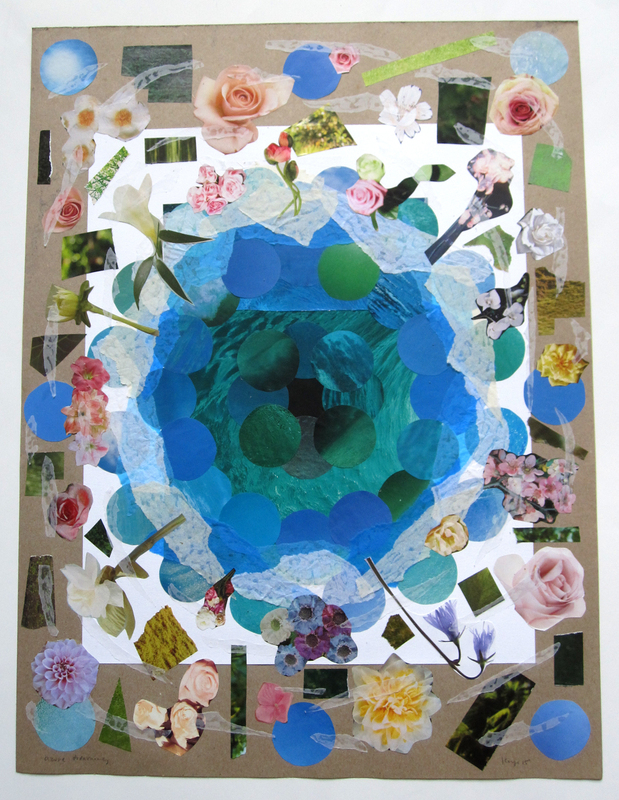 This collage and haiku was inspired by a photo Marcy Erb at Illustrated Poetry posted for Silent Sunday a few weeks ago. The photo was so beautiful, I had to craft a response. My mind is still working on other responses too. The photo also really reminds me of Richard Diebenkorn’s “Ocean Park” paintings, which I love too for their amazing colors. Must be the light in California! Interestingly I first ate sushi with Kerfe in the early 70’s. Our stylish but demonic boss used to take us to some joint on 46th Street. I fell in love with sushi and love it to this day. This is just a typical sushi selection. My ideal dinner would include uni with quail egg and an eel hand roll with avocado. Going home now!